If you have noticed that your computer’s performance is in decay lately, it is likely that the main culprits are traces of uninstalled programs and other unnecessary items. The majority of programs installed bring along many new registry items and files that are placed on your system. Even after you uninstall the programs, some elements may be left behind and as they accumulate, they end up affecting the performance of your computer. In addition, the software on your system may install irrelevant background processes that are launched automatically and that drain your computer’s resources. 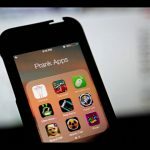 While Windows Uninstall program is an option to address this issue, it doesn’t provide detailed information about the programs installed on your device. The best alternative is Mirekusoft Install Monitor, a convenient and effective solution that allows you to manage your applications and enjoy a better system performance. 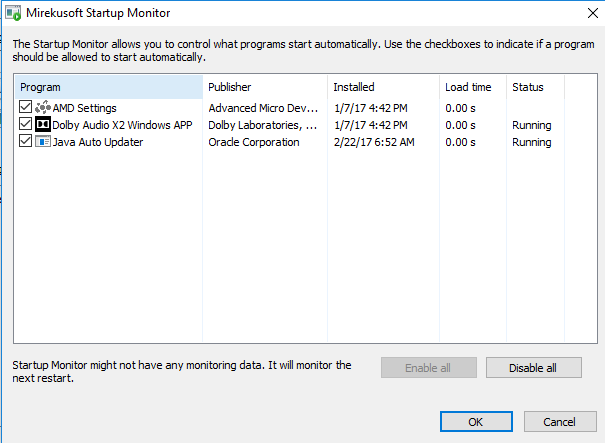 Install Monitor keeps track of what is installed on your computer and it allows you to make sure that it is fully uninstalled. It is the ideal tool to reclaim control over your computer, as it lets you handle applications, stop programs from starting automatically and get rid of all the unnecessary clutter that slows down your system. Here we will find out more about this practical solution. Mirekusoft Install Monitor stands out for providing detailed information about the software that is running on your computer. It is possible to find out how much CPU, memory and disk space is being used. The program is compatible with Windows 7,8, 8.1, 10, Vista and support for XP is also available upon request. 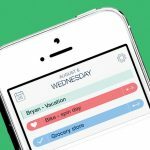 There is a free trial version that lets you test the service for 30 days. After that, you can purchase the software for just $24.99. The interface provides a great deal of information in a clear, simple and efficient way. You can easily identify the main programs that are running, as well as the support options. There is a great selection of features designed to give you access to useful information about the applications on your computer, as well as cleanup functionality to ensure your system’s seamless performance. Startup program is a convenient feature that displays startup items by installed program. This allows you to see the programs that are set to run during system startup. With Install Monitor, you can focus on the startup items for the software you are checking. Once a program is installed, you can switch to the Startup tab to get an overview of the startup items that are included. Being able to see the startup items associated to a program allows you to understand how performance is affected and if needed, you can look for a different program. The Startup Monitor also helps you to stop programs from starting up automatically, which gives you the possibility of managing the system’s resources more efficiently. Program Tree is another practical function that is available with Mirekusoft Install Monitor. It shows a list of installed programs organized in groups with the programs that were installed along with them. With Program Tree, you can see what programs what installed together and how. It is an ideal solution to tackle bundleware, which are bundles of programs installed at the same time. When you install a program, it may include additional programs and while in some cases you get an option to reject their installation, some malicious programs don’t make you aware of this extra programs. These unwanted programs would not only have an impact on your computer’s performance, but they can also compromise your privacy. The Program Tree allows you to see the groups of programs that were installed together. This is very helpful when you need to ensure the complete removal of a program and all its related software. Mirekusoft Install Monitor also features a Program Process Viewer that shows a list of the programs that are currently running on your device. The main advantage of this process viewer over Windows’ Task Manager and other options is that it is clearer and gives you more control over the applications that are running. The process viewer that Install Monitor offers, helps you to identify the processes related to a program and to understand how they affect your computer. It puts related processes together and enables you to see what programs are running and details like the amount of processes used by each program. This allows you to end a program and all its processes with a single click. You can find out what programs are hampering your computer’s efficiency by consuming an excessive amount of resources. That way, you can consider looking for lighter options. 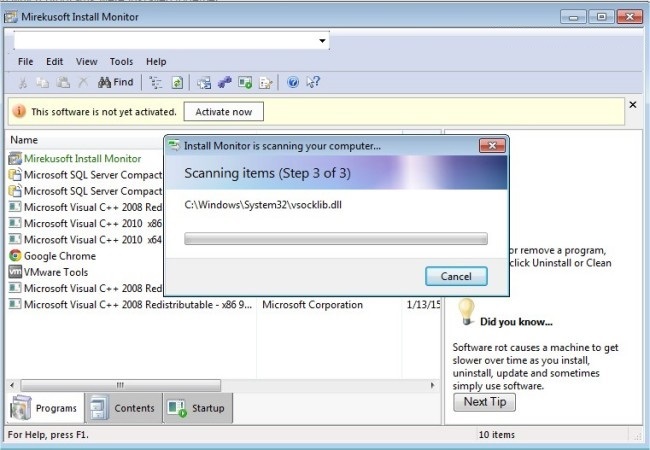 Another advantage supported by Install Monitor is the Program Scanner, which lets you find missing program information to ensure that Install Monitor can be used effectively with the applications that are already installed on your computer. With the Program Scanner, your system will fully benefit from the management functionality that Install Monitor offers, since it allows all programs to be monitored. Overall, the features supported by Mirekusoft Install Monitor will help you to keep track of the software installed on your system and to get rid of unnecessary files and registry to give your system enough space to perform better and faster. Mirekusoft Install Monitor is an easy to use, fast and affordable solution to manage your applications and keep your computer running as it should. It provides the necessary information to help you to decide if you need to get rid of a program. The software includes handy features with clear roles that contribute to the good performance of your system. Thanks to Install Monitor, you will not be in the dark when it comes to the programs that are running on your computer. It is a practical tool to find out what is slowing down your computer, clean up the system and improve its stability, allowing you to be more productive.